← New novella coming soon! 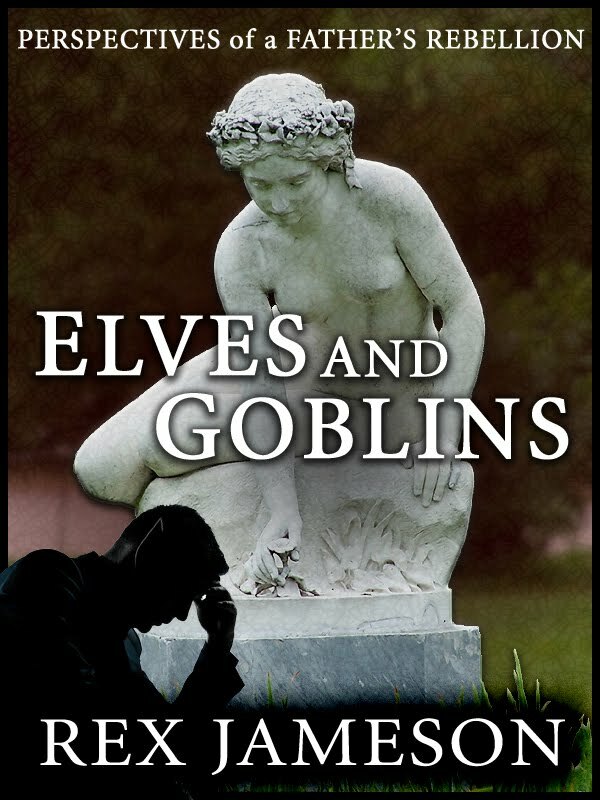 For the new Elves and Goblins novelette, I’ve been working on some covers, and I was wondering what you guys and girls thought. 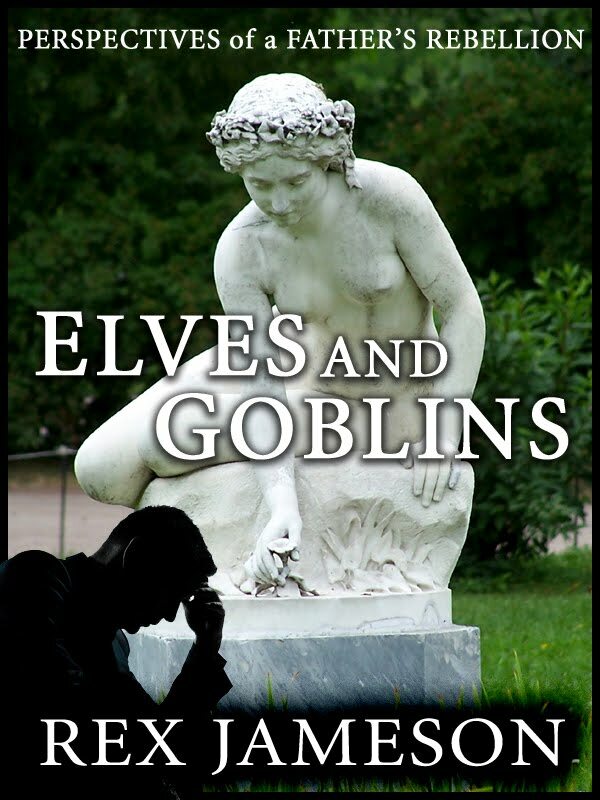 8 Responses to New cover for Elves and Goblins novelette. Whatcha think? I don’t think it fits with the two other covers you have, Rex. I wanted to separate the typography and feel of the two series so they have distinct branding and feel. I appreciate your opinion on this. Let me know if you still feel the same after checking the Angels and Demons cover. Thanks! I thought they were part of the Lucifer’s Odyssey series. No, they’re separate and take place in a totally different universe and setting. In Angels and Demons, the afterlife is dictated by how you die, and Archangel Michael is having to deal with the effects of our tendency to kill each other (and of course, Lucifer is exploiting it). Elves and Goblins takes place in a world where the elves are being oppressed into poverty by goblins. Neither of the Perspectives stories takes place in the Primal Patterns series worlds. I have an author’s note in the front that hopefully clears this up. My exact thoughts were: Meh. I’m thinking water fountain, 1800s garden parties and Greek sculptures. Definitely not spec fiction. I liked the theme you had going with the other cover. Something related to that would work better. I think that is mainly because the statue is really white and takes centre stage. What probably needs to happen is to take it off centre, crack it and grey it (like the previous cover) and I’d go with some layering in of something that you can shadow/blend to the page. Which “previous” cover are you talking about? Lucifer’s Odyssey? It’s a different series. I don’t want people clicking on this and thinking that it’s in the Primal Patterns Series. That’s just a preventable one-star waiting to happen! This is the follow up to Angels and Demons: Perspectives of a Violent Afterlife. The statue is front and center with this cover, and that’s sort of why I chose to try this route, to keep consistency in the Perspectives series. This novelette is also NOT sci-fi/fantasy type spec fic. This book is more in contemporary fantasy and urban fantasy. I’ll see what I can do with making the Angels and Demons cover crackle and then making this one crackle? My first shot at this didn’t look that great, but I’ll keep at it. Thanks for the feedback! Yes I was referring to the A&D cover, the previous statue had a darkness to it and looked older. It allowed more of the cover to shine rather than the statue to be the only thing that catches the eye. I’ll check out the blog in a bit. I’ve updated the first post. I extracted the statue and added a color overlay, blur and crackle to the background. I also added a radial gradiant and slight crackle to the statue. Let me know what you think!